The history of the denim jacket spans back to the origins of the indigo dye and denim from the mid to late 19th century. During that era in Japan, firemen wore an early variant of the denim jacket and the indigo dye was used to denote what fire squad an individual belonged to. 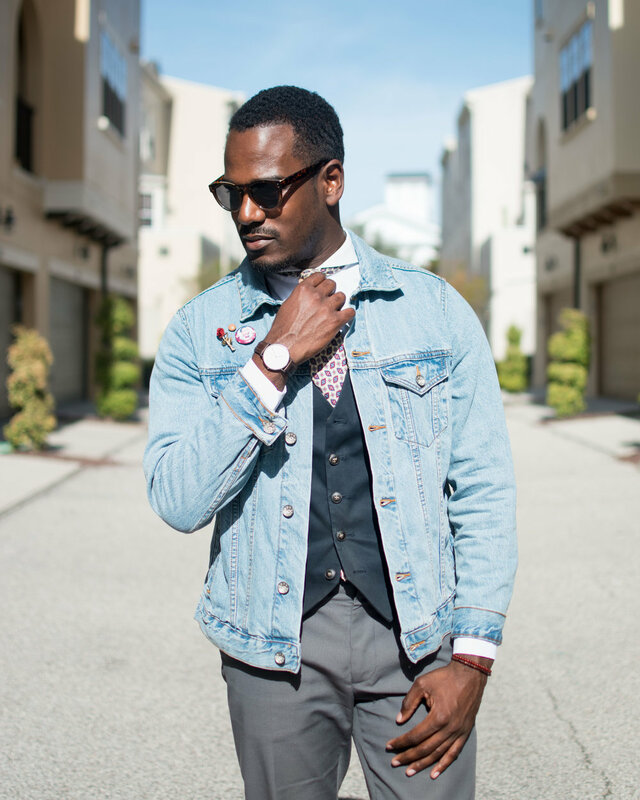 The famous Levi’s brand created their first denim jacket circa 1880. The intent of this jacket was to provide a durable, breathable utility garment for cowboys, railroad engineers, and miners to wear during the gold rush. 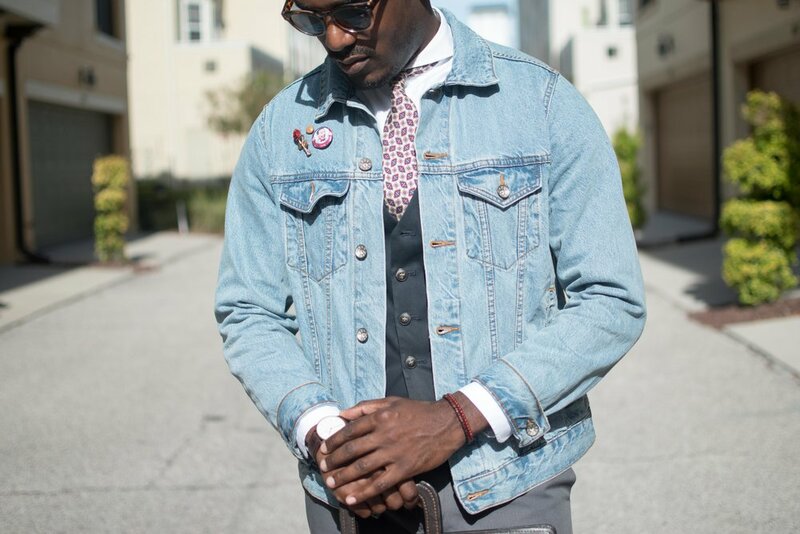 Scroll through the history of the denim jacket and you will see one consistent theme, it’s use in the workforce. 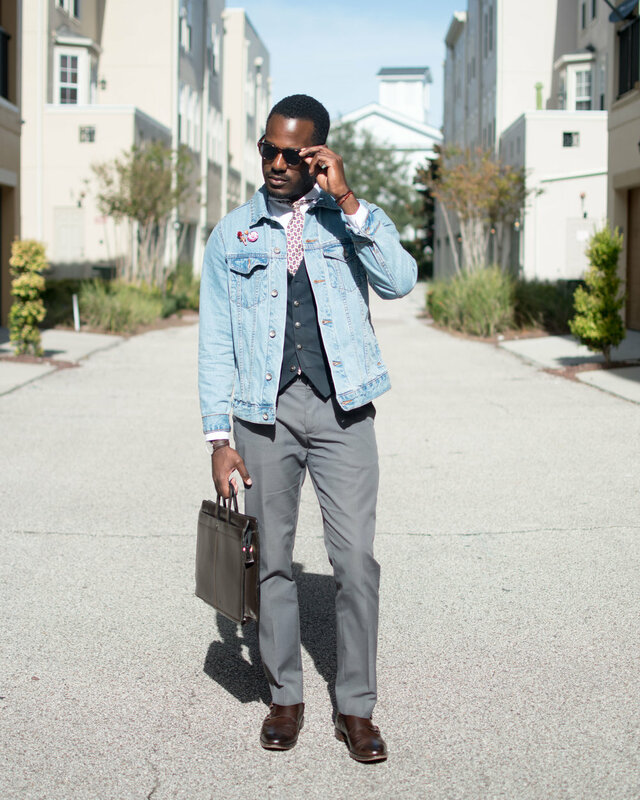 So, the evolution of the denim jacket to office wear makes perfect sense. Now with my particular look I made sure that the casual denim jacket is contrasted with very sharp garments with classic colors. 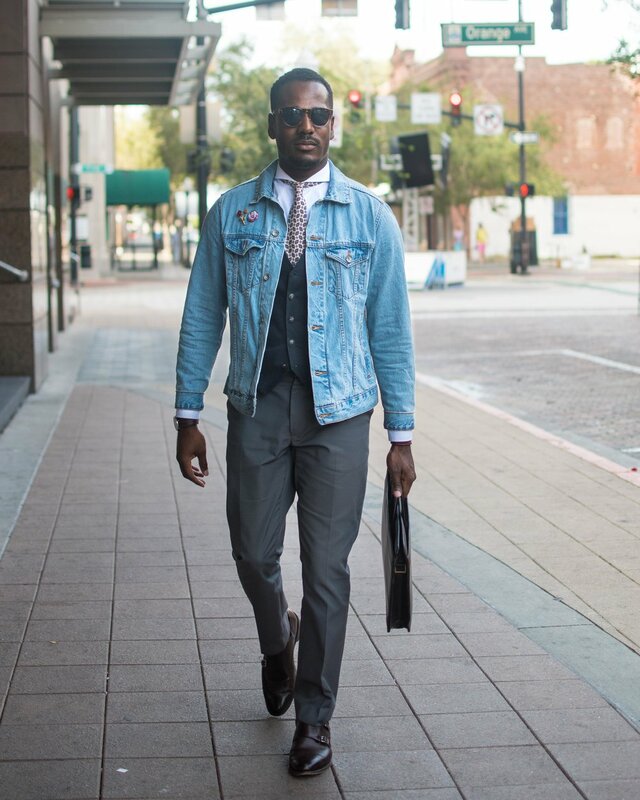 A white shirt, navy vest, grey slacks, and tie with blue and red prints is almost as traditional as you can get. In the office, you definitely do not want your statement denim jacket to fight for attention with a busy shirt or patterned trouser. For this look, I kept my leathers dark; my watch, briefcase, and double monk straps are very dark brown. Again, I am keeping supplementary details minimal to not take away too much attention away from the denim jacket. For a pop of flavor, I throw in a few conversation pieces in the form of lapel pins. 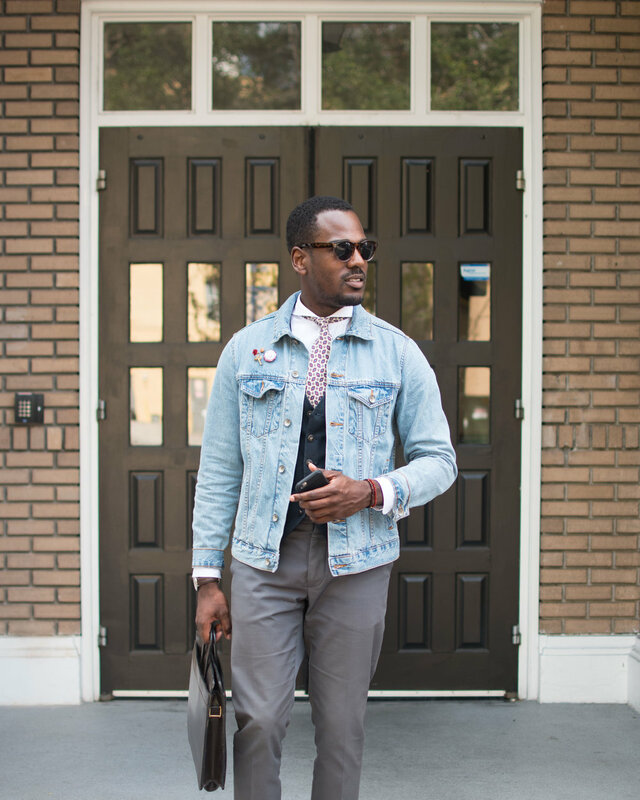 Fall is a great time to break out the denim jacket, explore its range by throwing one on for a day at the office. Balance is key so give this particular look a strong foundation of traditional pieces. The juxtaposition is the vibe for this look and when done perfectly, creates a look that makes most wonder why they didn’t think of it first. Sign to receive news and updates from yours truly.